St. Francis of Assisi - a Catholic basilica south of Taos, New Mexico. Missionaries founded the church in 1610 - 10 years before the pilgrims established themselves at Plymouth Rock. 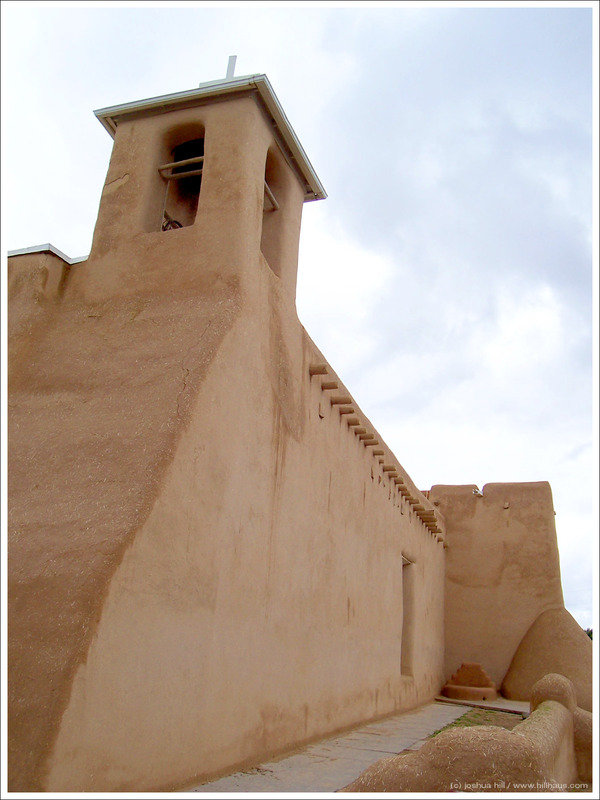 The oldest church in the US is in Santa Fe, New Mexico, right next to the oldest house in the US. 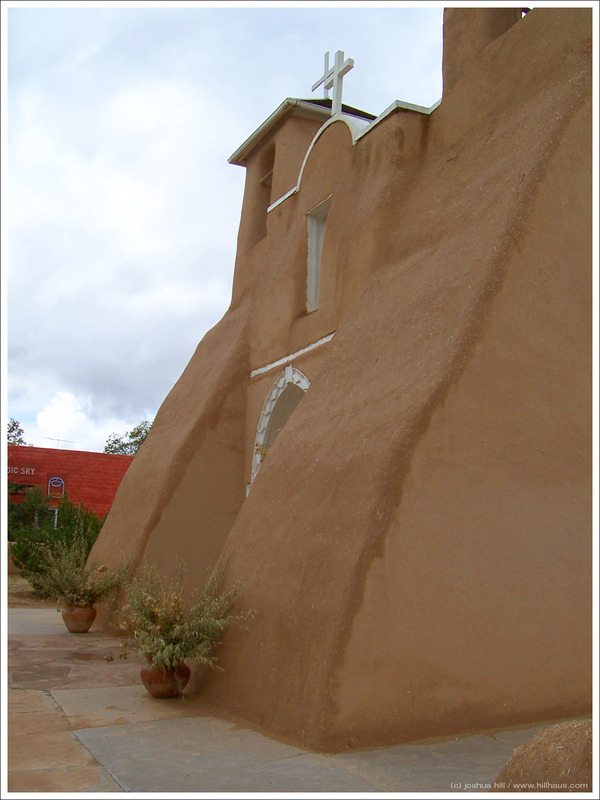 Another view of the adobe cathedral.